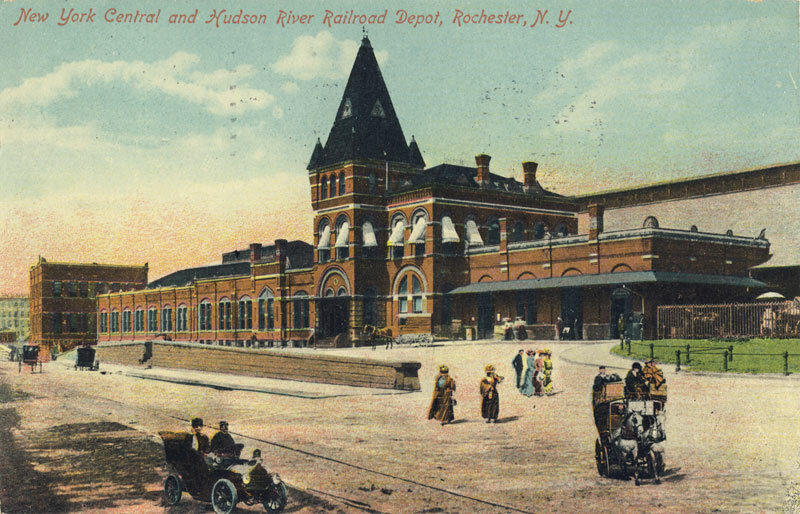 And this was Rochester’s second NY Central Railroad Depot (above). 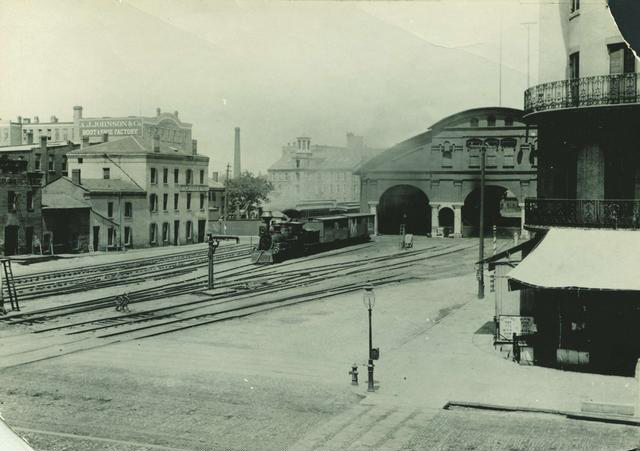 It was the first station to occupy the site of the current Amtrak Station between St. Paul and Clinton Avenue (view is looking west from Clinton, 1907). If you were to ask my opinion on what our new train station should look like—put your pencils down—this is it. 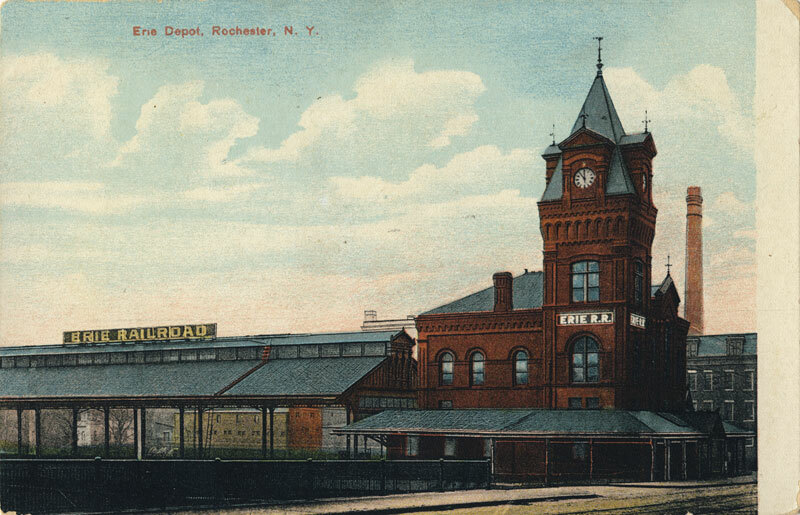 Another view of Rochester’s second NY Central Railroad Depot. (looking east from St. Paul Street). This station was built in 1882 for $925,000 after the State paid to elevate the tracks to eliminate grade crossing in the City. It was only the 2nd such elevation in the nation—outside NYC. 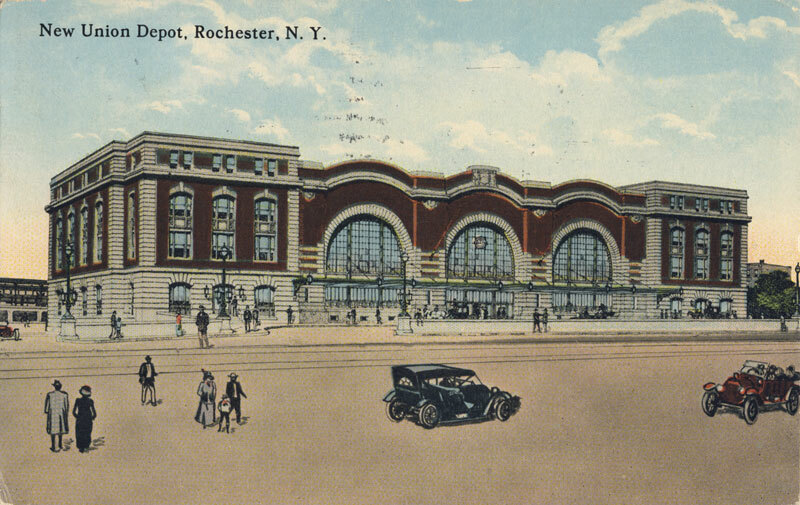 Rochester’s third NY Central Station was designed by Claude Bragdon and opened in 1914 on the site of the current Amtrak Station. 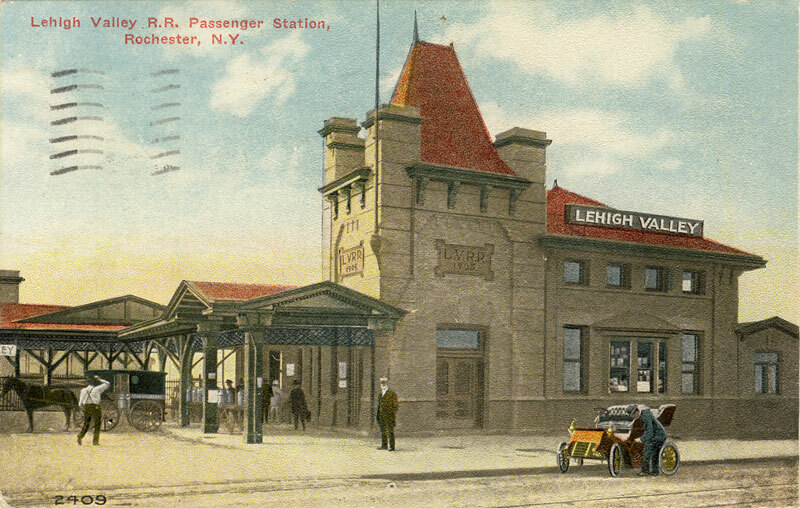 It was certainly the grandest of all of Rochester’s stations. 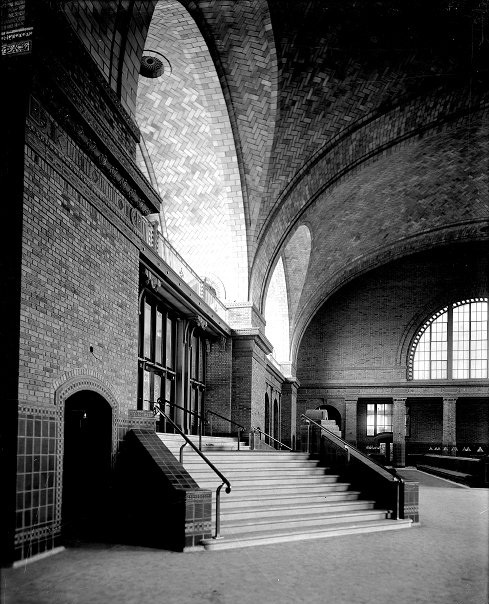 Last year Infrastructurist.com declared it the 7th most beautiful station to fall to the wrecking ball. Presidents Woodrow Wilson, Warren G. Harding, Calvin Coolidge, Franklin D. Rooselvelt, Harry Truman, and Dwight D. Eisenhower were among those who used the station. Many spoke to huge crowds from a dais erected at the intersection of North Clinton and Central Avenues. No one really knows why this one was torn down. It was 1965. Someone was high on something. 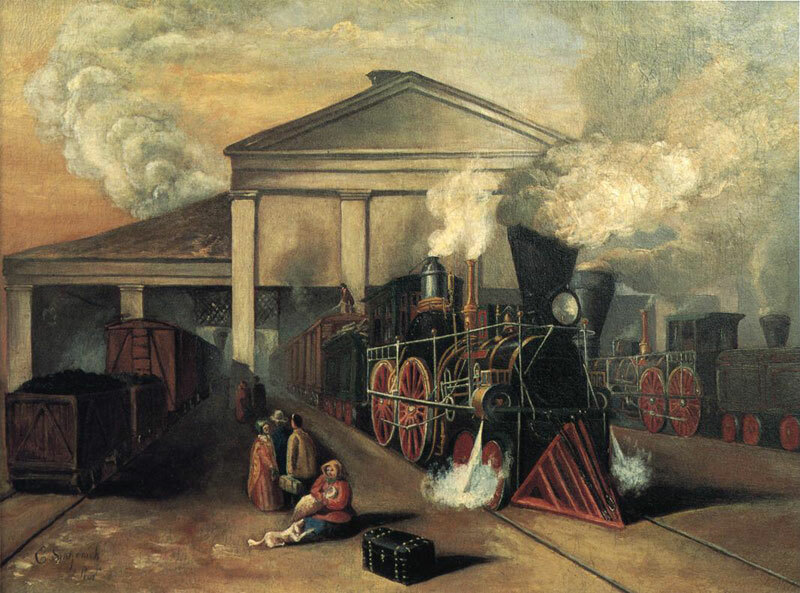 The station shown above is probably the least known of the bunch. 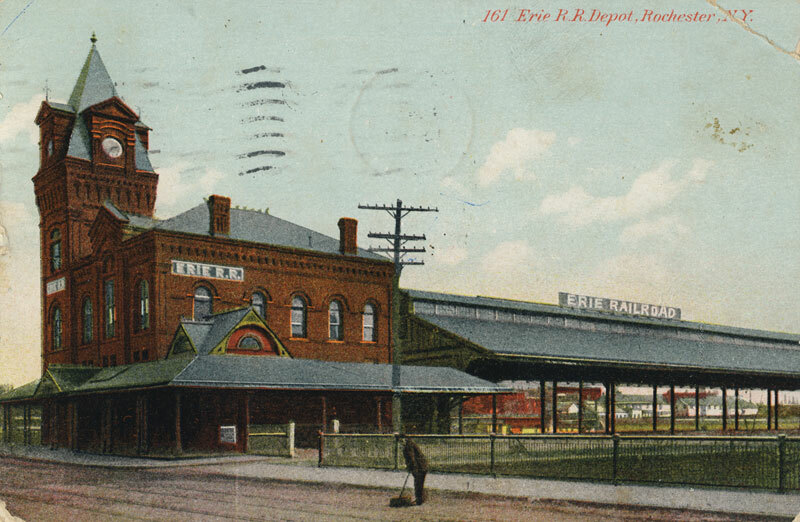 The Erie Railroad Depot. stood between the Genesee River and Exchange Street on the south side of Court St. This shot was taken from the Court Street Bridge. You can clearly read the Erie Railroad sign over the canopy where the trains pulled in from the south. Here’s another angle of this gorgeous building with its majestic clock tower as seen from Exchange Street. Today this site is a parking lot opposite the Blue Cross Arena.
. 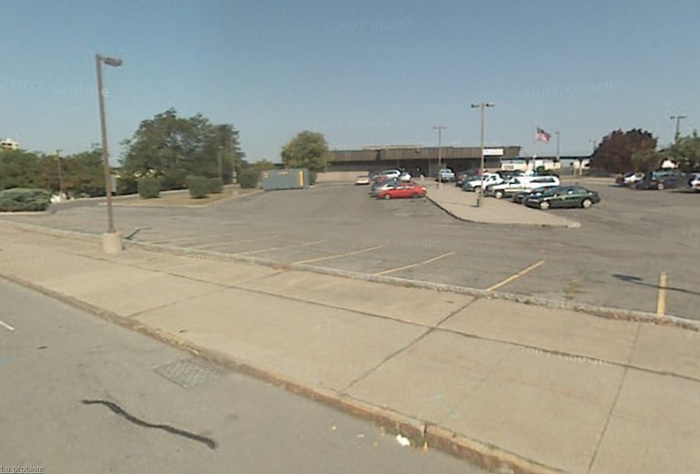 The building also sits on top of the south entrance to the Rochester Subway but that’s another story.
. This shot was taken from Main and W. Broad Streets. 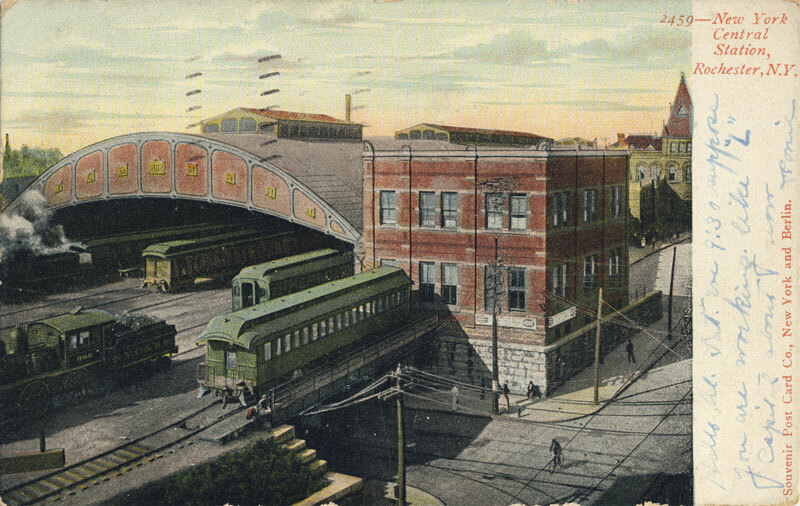 I love that this postcard shows the waiting platform (long gone today) peeking out from behind the building. 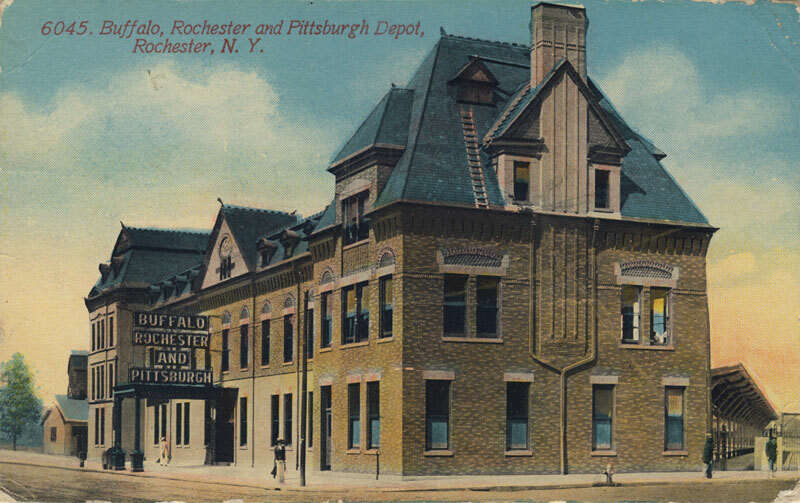 Visit our Postcard page for some more vintage views of Rochester. There is a picture someplace that shows the Buff, Roch, Pit station with a covered porch across the Main street facade. You can still see the remains of the flashing in the brick.